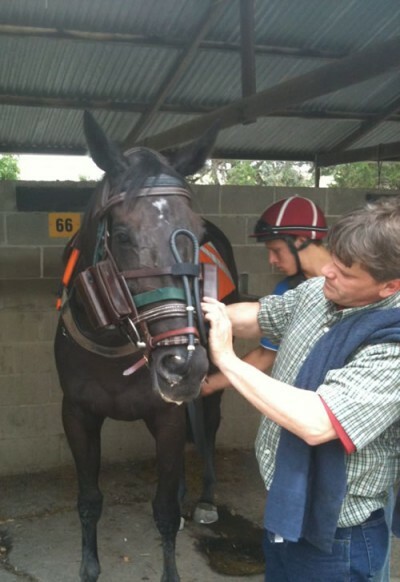 At GCEC we have recently aquired the latest in upper airway diagnostics – the Equine Exercise Endoscope. This new scope allows examination and observation of the upper airways of the horse whilst it is performing at high speed. This allows us to diagnose upper airway problames such as dorsal displacement of the soft palate and laryngeal hemiplegia (roarer) much more accurately. It will be especially useful with horses that are making a noise whilst working but nothing can be found on “normal” scoping at rest. The new scope will also be useful in pre-purchase situations for extra peace of mind when purchasing a performance horse. For more information on the scope please click on the link below or contact the clinic. Dynamic Respiratory Endoscopy – New Equine Exercise Endoscope allows more accurate diagnosis of upper airway conditions. Is your horse making a respiratory noise and suffering a decrease in performance? If so this new scope might provide some answers. Obstructive conditions of the larynx in horses can cause turbulence of airflow resulting in noise during exercise which often results in poor performance. Unfortunately, many of these conditions only occur during exercise and are unable to be diagnosed during routine endoscopic examination at rest. At GCEC we have recently purchased the Equine Exercise Endoscope which is the latest and most advanced diagnostic modality in upper respiratory endoscopy. The “dynamic scope” allows us to examine the horse’s upper respiratory system whilst it is performing and under stress. It therefore more closely simulates performance conditions and allows us to determine the cause of respiratory noise and the resulting poor performance. For example, using a dynamic scope we can examine a Thoroughbred at a full gallop, a Standardbred can be evaluated pulling a cart and a performance horse can be assessed in an arena under saddle or whilst jumping. The scope (which is attached to its own head collar), is inserted into the horse’s nostril and positioned in the nasopharynx to visualise the opening of the larynx. The head collar is attached to the horse over the existing bridle that it is wearing. The device records a video during exercise allowing us to review the movement of the larynx. The video can help to identify a variety of abnormalities specific to the upper respiratory tract that may be affecting your horse’s performance. Some of these disorders include dorsal displacement of the soft palate, laryngeal hemiplegia (roarer) and vocal fold collapse. If you would like to know more about the Equine Exercise Endoscope, or if you have a horse which you think could benefit from it, please call the clinic to talk to one of our vets. We are very excited to finally be able to announce that we have opened our new purpose built equine veterinary clinic on the Gold Coast. The new clinic was completed in June 2009 and has provided the Gold Coast equine community with a first class veterinary facility for the diagnosis and treatment of equine injuries and illness. The clinic is located in Ken Russell Court, Bundall, adjacent to the Magic Millions Sales Complex and within walking distance to all of the racing stables in the Gold Coast Equine Precinct. The clinic includes a fully equipped surgical suite and is the only facility of this type on the Gold Coast. Our new clinic now enables us to provide you with a more complete range of veterinary services for your horse. To complement the new facility Dr Paul Robinson, who is a Board Certified Equine Surgeon, has joined the Gold Coast Equine Clinic team and has been keeping himself very busy with a growing surgical caseload. https://www.goldcoastequineclinic.com.au/wp-content/uploads/2013/12/logo.png 0 0 admin https://www.goldcoastequineclinic.com.au/wp-content/uploads/2013/12/logo.png admin2013-10-01 02:10:542013-10-01 02:10:54New Clinic and Surgery!! !